Anna Ushenina drew first blood on Thursday by winning the third game of the final match of the Women’s World Chess Championship 2012 in Khanty Mansiysk. She beat Antoaneta Stefanova of Bulgaria. Ushenina now leads the match. This is a best-of-four match. If the score after four games is 2-2, the players continue on tie-break to decide the Women’s World Chess Champion 2012. Read a report on Chess Blog. Replay the game with Chess King. 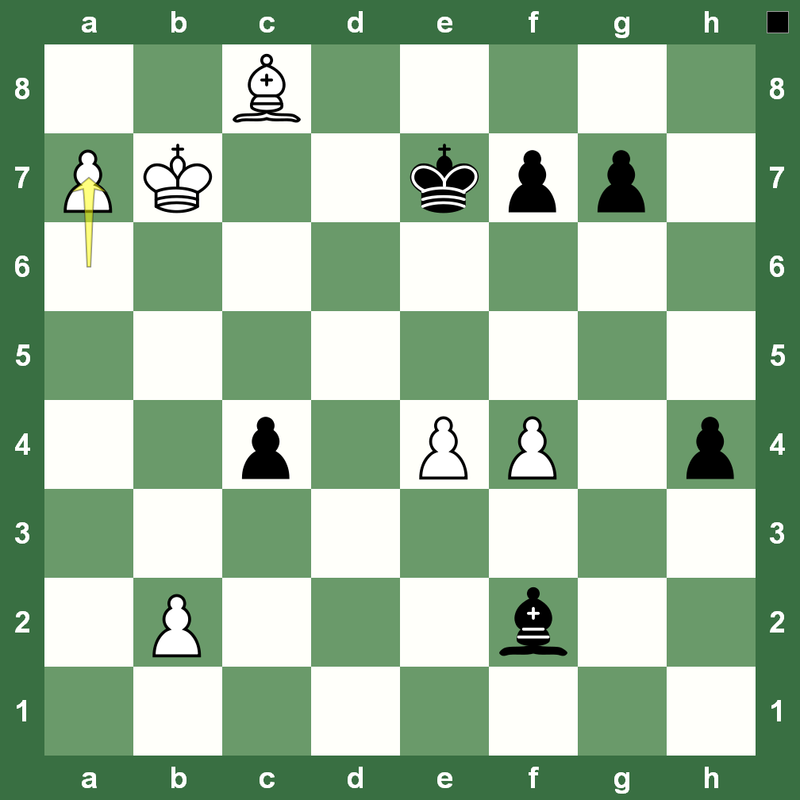 The final match is being played at the Khanty-Mansiysk Women’s World Chess Championship 2012 between Anna Ushenina of Ukraine and Antoaneta Stefanova of Bulgaria. The first game had its excitement and the second was a theoretical discussion. Read the full report on Chess Blog. Replay the game in the Chess King applet in the extended post. The first game at the final of the Women’s World Chess Championship 2012 in Khanty Mansiysk turned from a could-be boring game to an exciting-save by Anna Ushenina as White against Antoaneta Stefanova. Read the full report on Chess Blog. 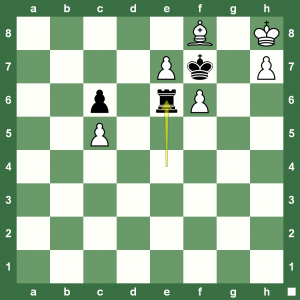 Replay the game with Chess King in the extended post. 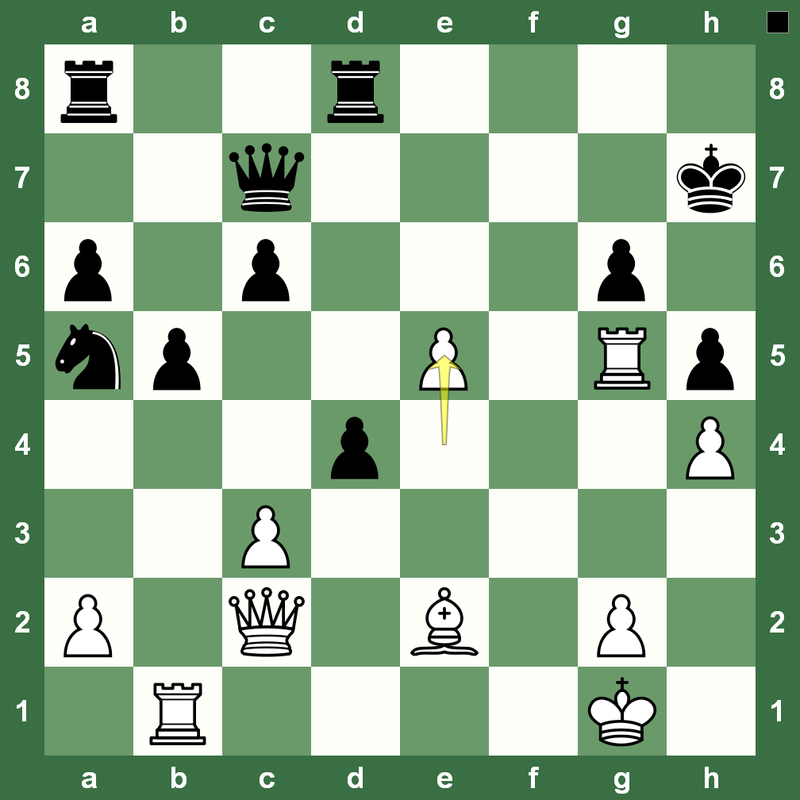 The Women’s World Chess Championship 2012 semi-final second tiebreak between Anna Ushenina of Ukraine and Ju Wenjun of China was an absolute sitter. Wenjun was winning, but goofed up in time trouble. Ushenina held on and got Wenjun into a zugzwang that witnessed the latter struggling with a Bishop against Black’s Rook in a pawn logjam. Ushenina pulled off a miraculous draw that was enough for her to advance to the final. Read the full report on Chess Blog. Just how cruel chess can be, and just how cruel it can be to watch… Replay the game with the super Chess King applet. The Khanty Mansiysk Women’s World Chess Championship 2012 witnessed an exciting game between former Women’s World Chess Champion Antoaneta Stefanova of Bulgaria and Harika Dronavalli of India. Great tactics that were carried home with a solid finish saw the Bulgarian get ahead in the first game of the semi-finals. But, the second game would be played on Saturday with Harika on the White side. 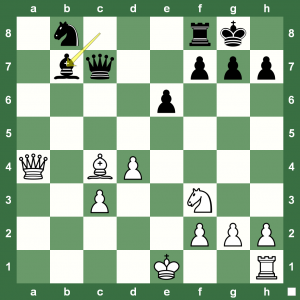 Replay the exciting game with Chess King and read the full report on Chess Blog. The Khanty-Mansiysk Women’s World Chess Championship is now in the semi-final stage. The four semi-finalists played the first game of the round on Friday. Anna Ushenina let Ju Wenjun escape with a draw. 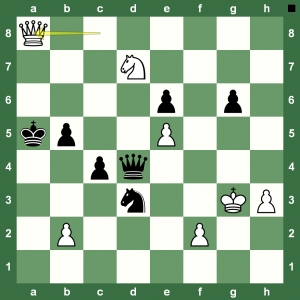 Check out the full report on Chess Blog and run the game through the Chess King applet in the extended post. Bulgarian Antoaneta Stefanova – former women’s world chess champion – was up against the wall in a must-win situation against Marie Sebag of France on Wednesday to stay in the Women’s World Chess Championship 2012 in Khanty Mansiysk. Sebag had won the first game of the quarter finals of the championship on Tuesday. Stefanova pulled up her socks and went for the win as Sebag stumbled. The match now goes into tiebreak to be played on Thursday. Play the nice game in the Chess King applet in the extended post and read a report on Chess Blog. White’s position on the left with the unstoppable a-pawn rolling down eventually brought home a victory. Khanty-Mansiysk Women’s World Chess Championship 2012 Quarter-Finals: Harika Dronavalli Saves Absolutely Lost Game Against Zhao Xue! 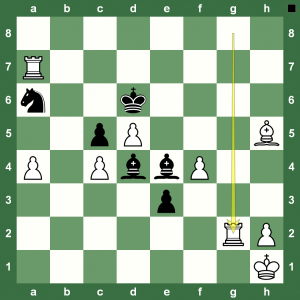 Huge material advantage of the Chinese Zhao Xue went down in a single moment of greed in the quarter finals of the Women’s World Chess Championship 2012 in Khanty Mansiysk on Wednesday as Harika Dronavalli saved a totally lost endgame! The match now goes into tiebreak with the duo having already drawn their first game. You can read the full report on Chess Blog. In the position on the left, Black has just played 65. …e4 attacking the White Knight on f3. Harika plays the daring 66.Qd8. 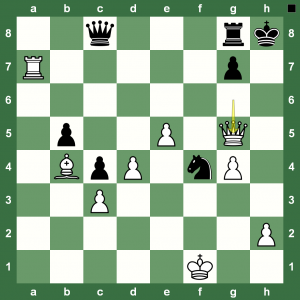 What happens now if Black takes the Knight? Replay the fantastic chess game in the Chess King applet. The Russian challenge in the Women’s World Chess Championship 2012 in Khanty Mansiysk has come to an end with this loss of Nadezhda Kosintseva to Anna Ushenina of Ukraine. The second games of the quarter finals were played on Wednesday. 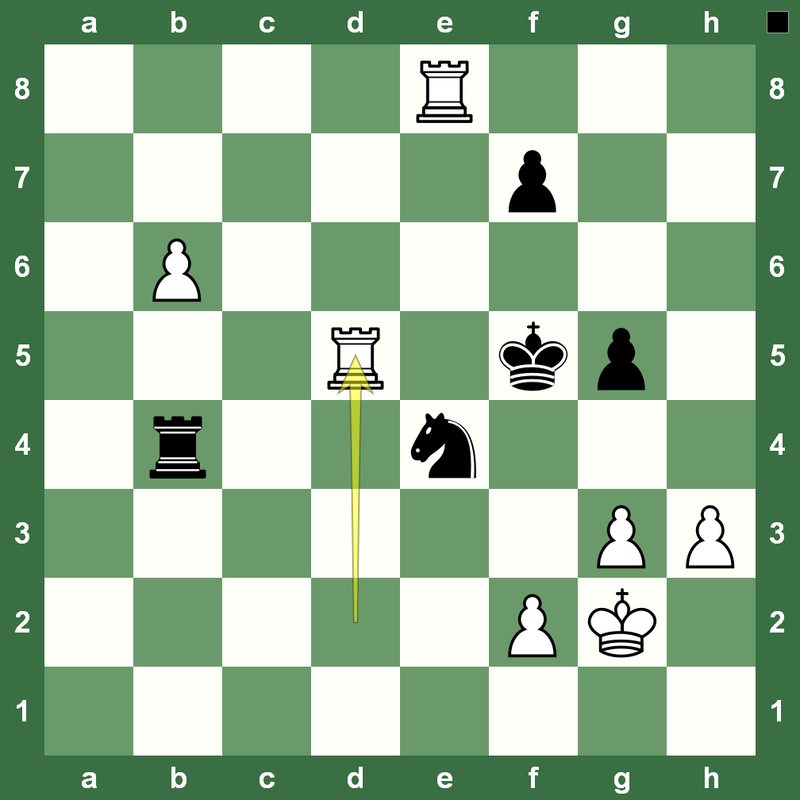 Displaying steady and strong chess, Ushenina beat Kosintseva with White to advance to the semi-finals. Final position on the left. Black’s King is in a hopeless bind on the h-file and attempting to save the checkmate with Qc6 will end in White capturing the Black Knight on f4. Read the full report on Chess Blog. 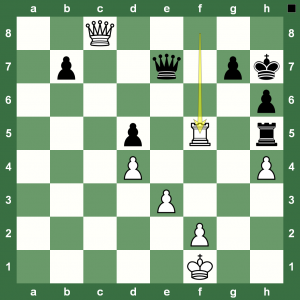 Replay the exciting chess game with Chess King in the extended post. 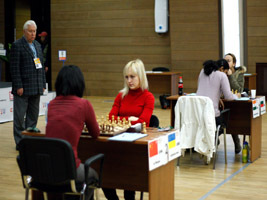 The Women’s World Chess Championship 2012 in Khanty Mansiysk has moved to the quarter finals. The fourth round was played on Tuesday. Marie Sebag of France took on Antoaneta Stefanova of Bulgaria on the top board. 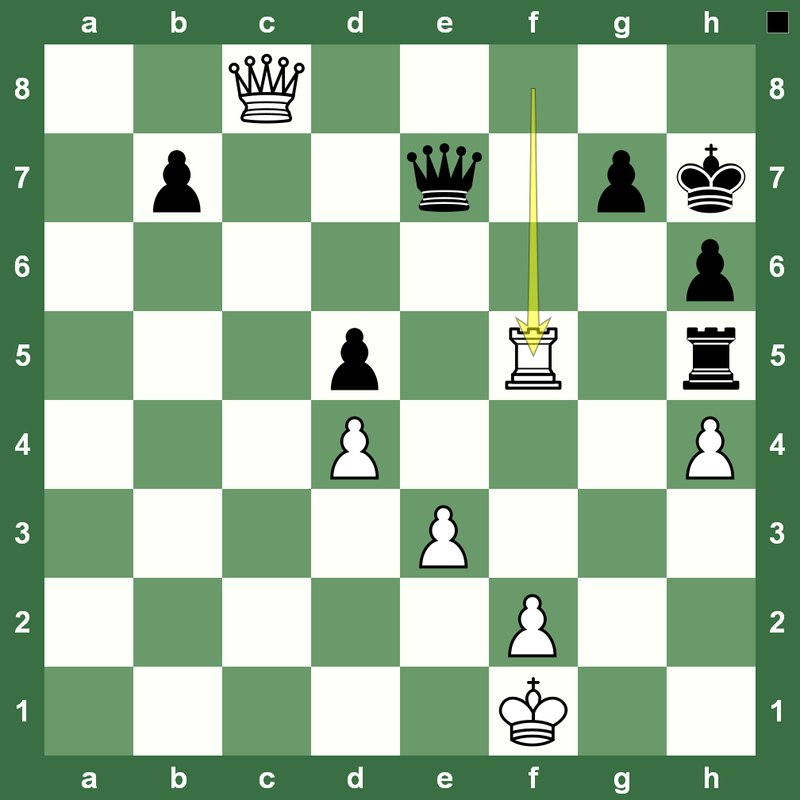 In the position on the left, materially speaking, White is a pawn up. White has just played 36.Ne5. Should Black – before thinking of anything else – equalize the material by Rxa5? In fact, Black did just that: played 36. … Rxa5 and invited the killer blow from White! Can you see what? Replay the game with Chess King. A fantastic game of a struggle with a lone Queen vs Knight+Bishop even with pawns locked together for a fortress for Black. Natalia Zhukova put in a heroic struggle to break down Black and set up a tiebreak in the third round of the Women’s World Chess Championship 2012 in Khanty Mansiysk. What do you think of the position on the left? Does Black have an unbreakable fortress? Run the game in the Chess King applet and read all the reports on the Women’s World Chess Championship 2012 at Chess Blog. Though, top-rated Koneru Humpy of India was knocked out of the Women’s World Chess Championship 2012 in Khanty Mansiysk in the second round, India’s Harika Dronavalli has done well to progress to the fourth round. She knocked out Lela Javakhishvili with accurate play in the third round. 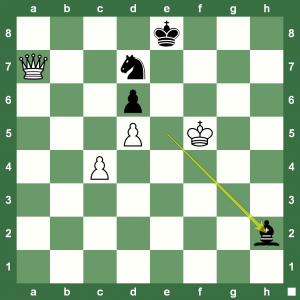 Lela resigned in the position on the left-three pawns down and a King without any protective cover had no hope! 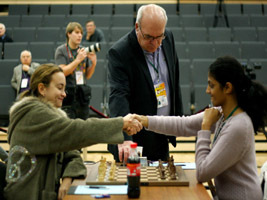 You can read all reports from the Women’s World Chess Championship 2012 at Chess Blog. 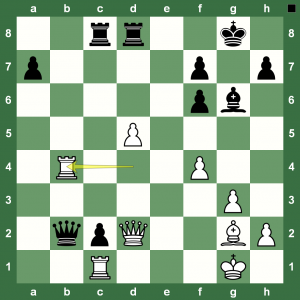 Replay this nice game in the Chess King applet. The Women’s World Chess Championship 2012 in Khanty Mansiysk couldn’t get more unpredictable. Seeds and favourites seem to fall with no predictable pattern. Monika Socko came into Round 3 after eliminating Women’s World Chess Champion Hou Yifan, but fell to another former Women’s World Chess Champion, Antoaneta Stefanova. 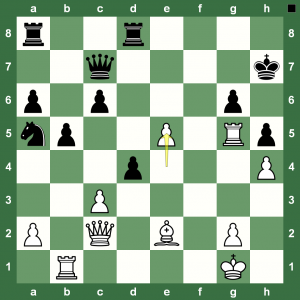 Stefanova has just played 54.Rd5 and Black loses more material and rightfully resigns. Follow all the reports on Chess Blog. Replay the game with Chess King. 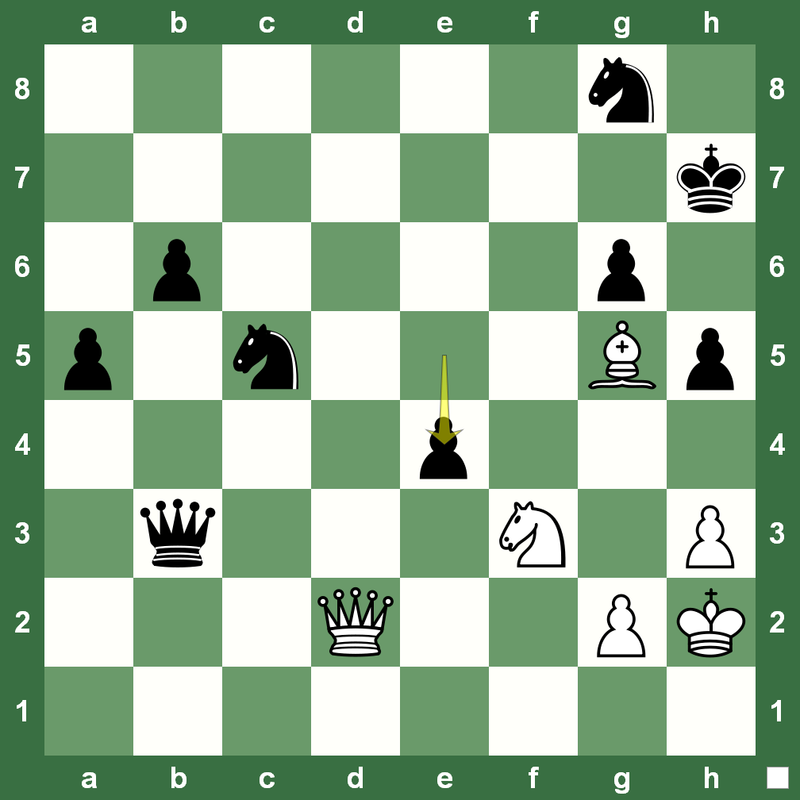 Another important match of Round 3 at the Women’s World Chess Championship 2012 was between Marie Sebag and Alisa Galliamova in Round 3. 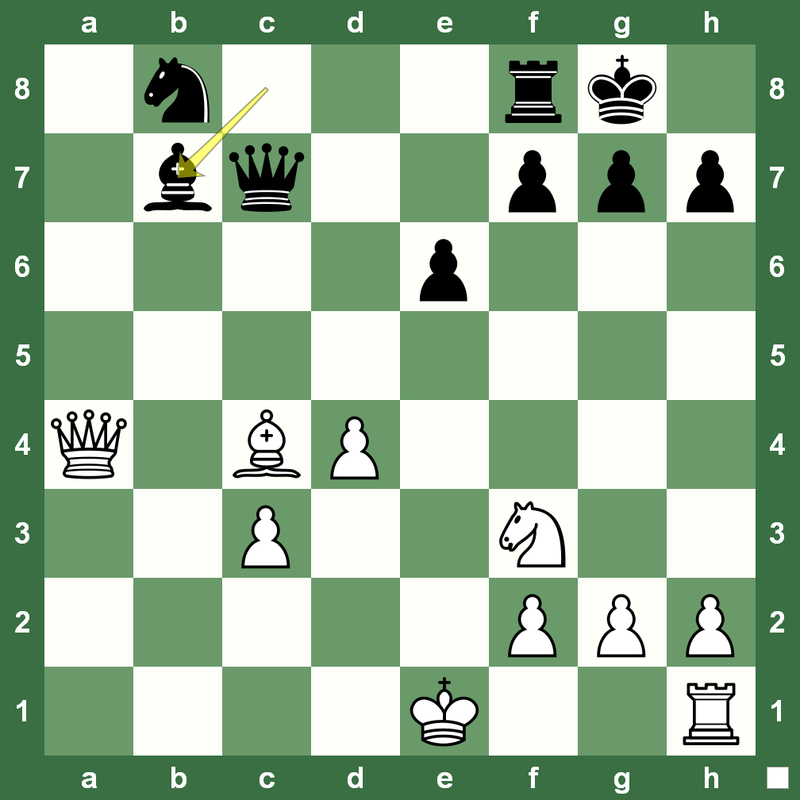 Sebag held her ground and tired out Galliamova by knitting a checkmate. Galliamova was knocked out with the loss. 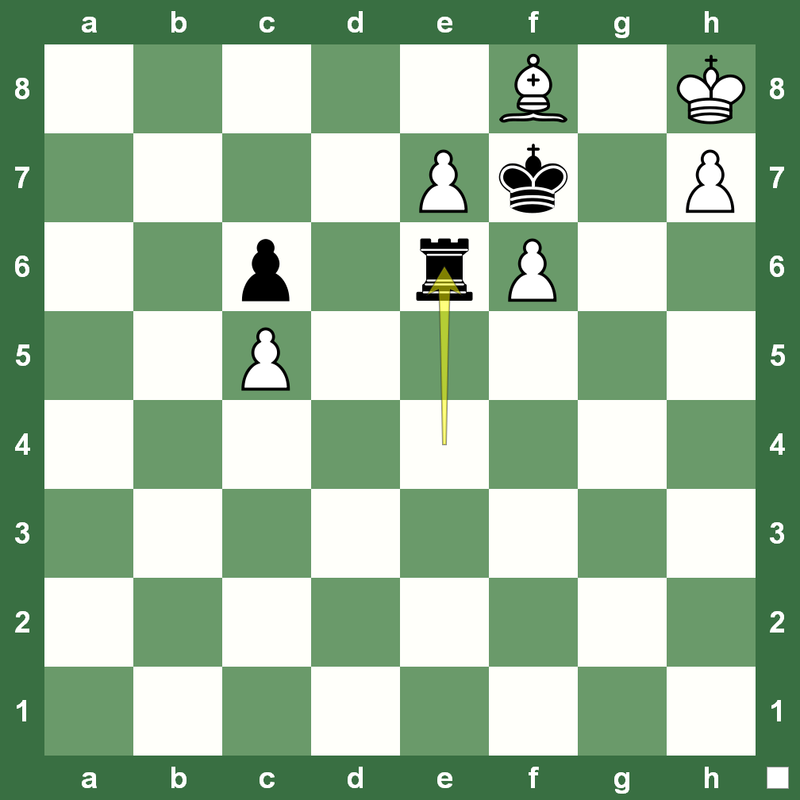 In the position on the left, Black has just resigned. Can you see the forced checkmate coming up after White played 56.Qa8? Galliamova resigned immediately. Read all reports on the World Chess Championship 2012 in Khanty Mansiysk at Chess Blog. Run the game in the Chess King applet below. Xue Zhao played well to knock out Mariya Muzychuk from the Women’s World Chess Championship 2012 in the third round in Khanty Mansiysk on Sunday. In the position on the left, White has just played 25.e5. 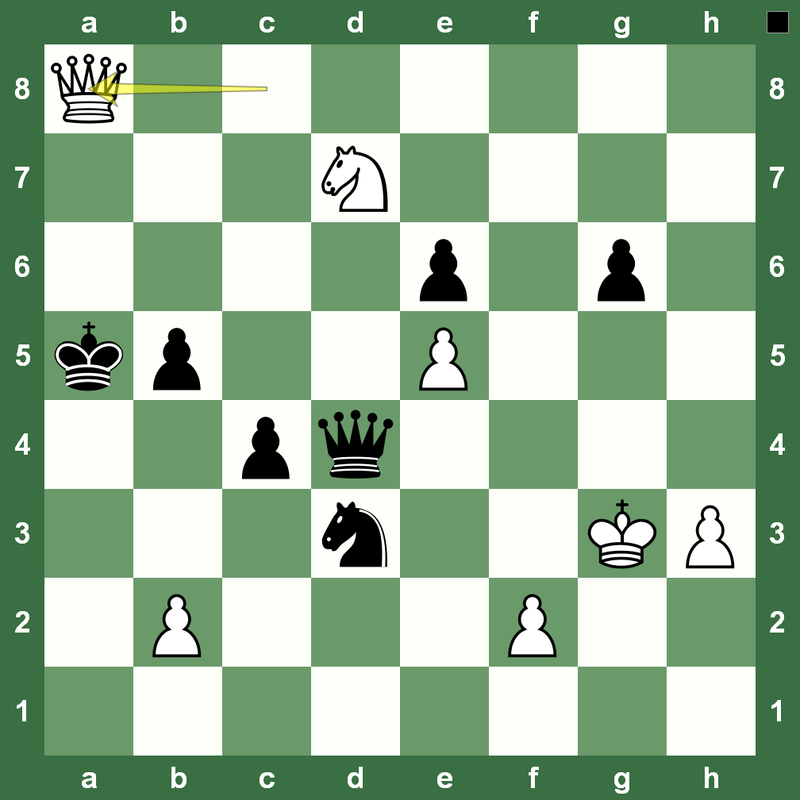 White had already, earlier in the game, sacked a pawn to launch a winning attack on the Black King. Is there any way to save this game for Black? Can you see all of White’s winning threats? 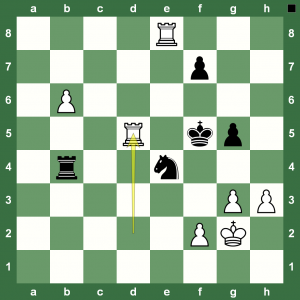 Muzychuk, soon enough, resigned. 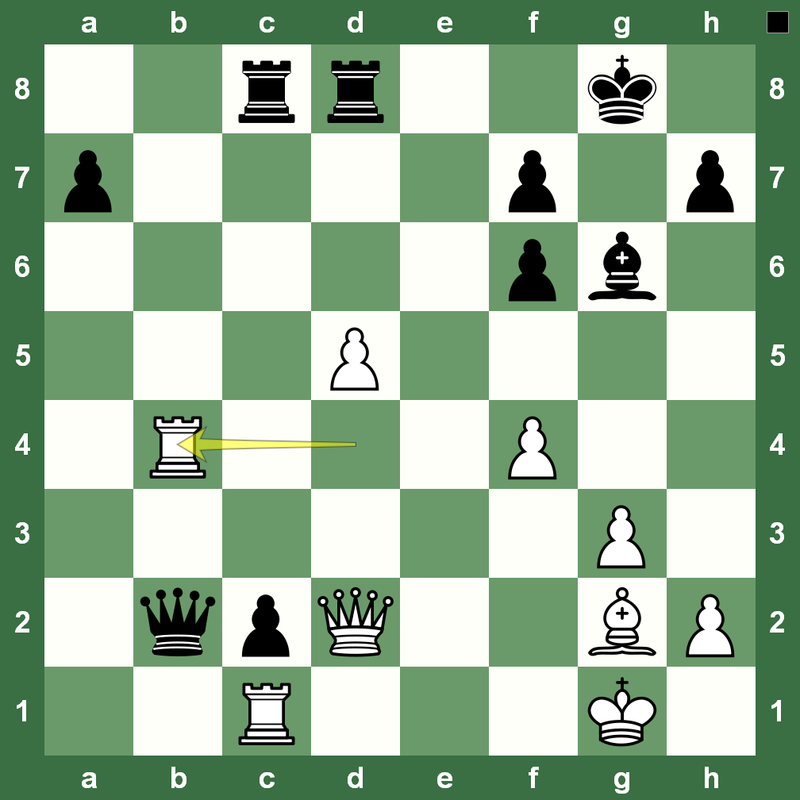 Replay the nice game in the Chess King applet below. You can read complete reports on the Women’s World Chess Championship 2012 on Chess Blog. 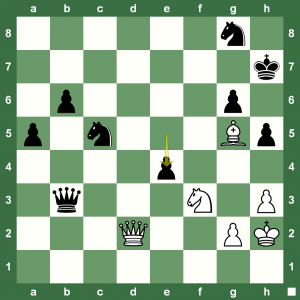 The second round at the ongoing Women’s World Chess Championship 2012 in Khanty Mansiysk saw sensational results with top stars getting knocked out. One of the key games was Natalia Zhukova-Humpy Koneru. 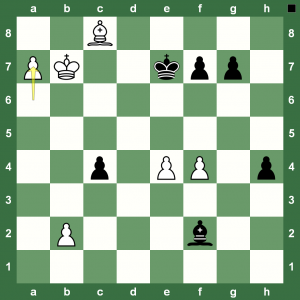 Zhukova had already won the first game and Koneru needed to win the second game with Black. She built up a good onslaught, but after a Queen exchange White slowly and steadily won the game. Zhukova eliminated the top-rated player of the tournament. 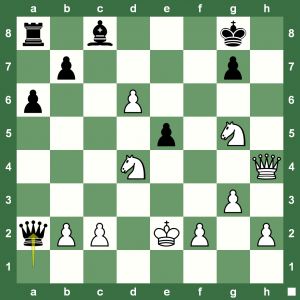 Read report on Chess Blog. Replay the game with Chess King. The Women’s World Chess Championship is now in the second round with 32 players advancing to the second round from the main draw of 64 players. The first games of the second round were played on Wednesday. The full report is up at Chess Blog. In one of the key games of the second round, Natalia Zhukova beat top seed Koneru Humpy. Humpy has just played 28.Rb4 in the position on the left. Zhukova came up with an exciting continuation. Run the game in the Chess King applet. 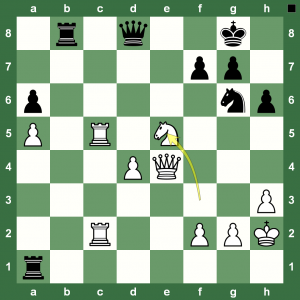 Cool Chess King Show: Double Rook Sac, Mid-Board Checkmate! 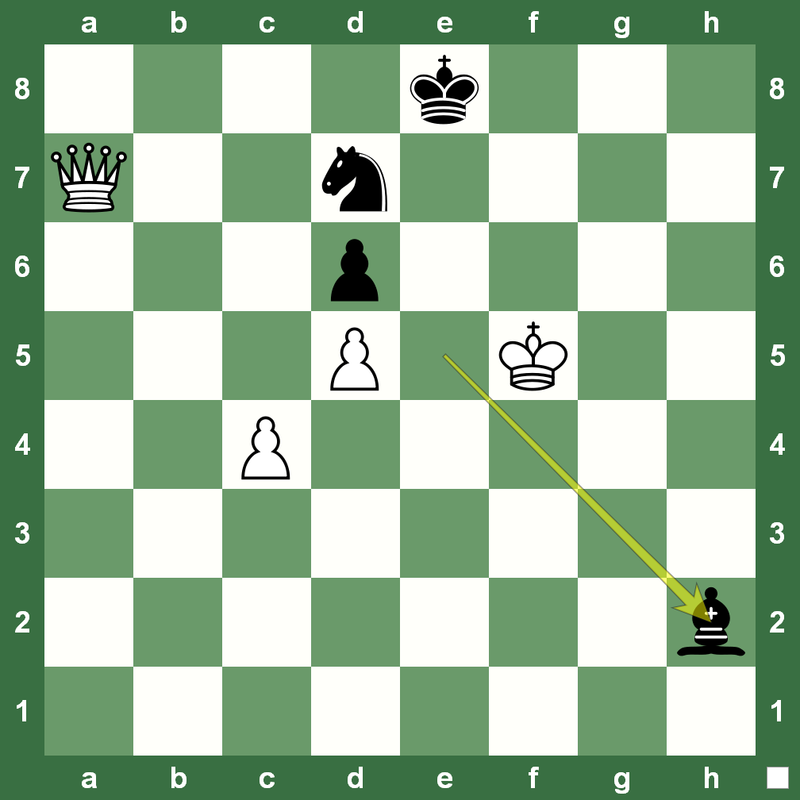 Here is a position from Round 1 (first game) at the just-started Women’s World Chess Championship. This game won the brilliancy prize for the first round as well and was played between Anastasia Bodnaruk and Lela Javakhishvili. Black was cruising along, in fact had an edge, when Black fell to the bait of a double rook sacrifice and a checkmate in the middle of the board! 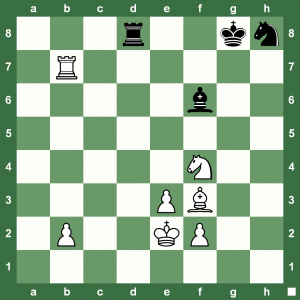 How would you play the position on the left as White? It’s a long combination of forced mate from here! Run the full game in the Chess King applet to enjoy the game. For a full report on the Women’s World Chess Championship 2012 in Khanty-Mansisysk, check Chess Blog.